It has been a long time since WPBakery Page Builder introduced Frontend editor to WordPress. A revolutionary approach that changed the way of how millions edit their WordPress websites today. A true ‘What You See Is What You Get’ experience. Now is the right time for the next revolution. The Template Library that allows WordPress users access hundreds of high-quality layout templates. With professionally designed templates that are easy to edit, you will need seconds to build a page for your WordPress website. No matter what type of page, post or custom post type you need. WPBakery Page Builder Composer Template Library will constantly update the list of templates. And just like any other feature, you will get it completely free with your WPBakery Page Builder license. Moreover, every template you download will have high-quality free stock images as placeholders. Our design team has crafted each and every piece of an individual template to ensure it is unique and easily modified to adapt to your unique needs. With page builder, you don’t have to be a developer to create a page. 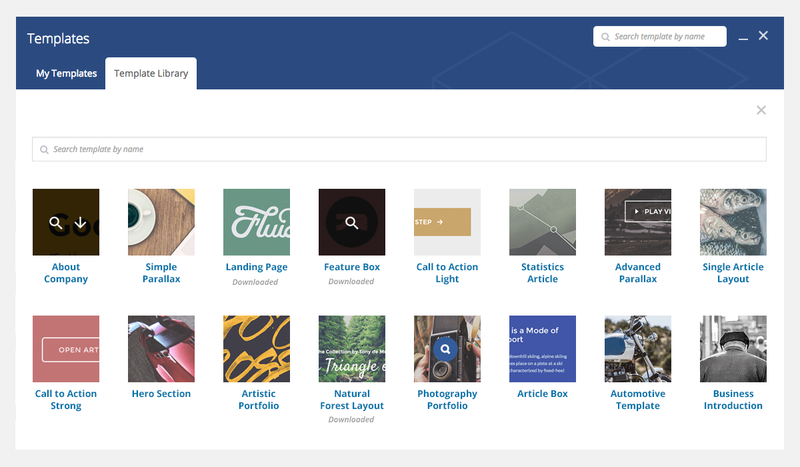 With WPBakery Page Builder you don’t have to be designer either. Options to save section and row as templates.